Ensure your property stays irrigated without wasting water with help from The Cutting Edge. We provide complete installation of Rain Bird sprinkler systems for homes and businesses. 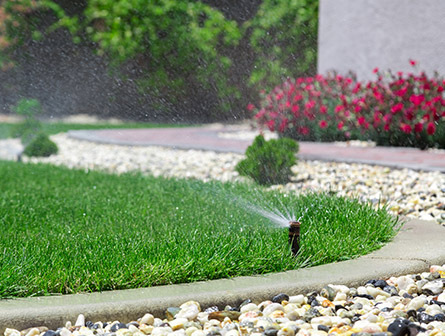 Additionally, we are represented by professionals whose goals are to provide you with an efficient irrigation system while conserving the quality and quantity of water. Our sprinklers are backed by a one-year labor guarantee against improper installation and a manufacturer's guarantee on parts. Your yard will be designed to use the correct irrigation heads to suit your needs, and all sprinklers are custom designed for you. Low-volume watering is available in flower beds while your lawn is watered correctly according to your water pressure. The sprinklers are designed to allow extra stations and wiring during installations for future expansions in most cases. 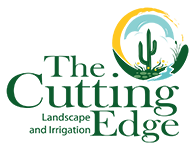 Our Rain Bird controllers are easy to use, and water can be provided from city water, wells, river and lake pumps, and other water systems local to your neighborhood. All irrigation systems comply with local water authorities by proper installation of a double-check backflow device. These are required in most areas and must be installed by a licensed irrigator. This device prevents the reverse flow of water, gases, or any other substances into the distribution of the portable water supply. Double checks are housed safely in a heavy-duty plastic box lined with sand and gravel for easy access when needed.